We are part of a worldwide family of centres dedicated to training, researching, promoting and preserving traditional wushu in the comprehensive system of Chang Hong WuShu, founded by Master Chen Ching-Ho and handed down to Masters such as SiGung Marco Kavelieratos. Our traditional classes include Kung Fu (Chang Chuan and Hong Chuan) and Tai Chi (Yang Style), both of which include QiGong and Meditation practice. Master Chen Ching-Ho was born in Chang-Hwa County of Taiwan in 1960. He graduated from Chinese Culture University in Taipei with a major in Chinese Literature. He has practised Chinese Wu Shu for almost 40 years since his early childhood. He has dabbled in the study of Tai-Zu Quan, White Crane, Cai-Li-Fo, and various other styles of kung fu for some time. But the core of his teaching now is in the styles of Long Fist, Hong Quan and Tai Chi. He was once the Chief Instructor of the Training centres of Taipei Association of Chinese Wu Shu from 1986-1994. He is currently teaching at the Wu Shu Clubs of National Taiwan University, National Central University, Chinese Culture University, Formosa Hospital and various other organizations, in addition to teaching at his own school. Master Chen was responsible for organizing various different kinds of Wu Shu tournaments. He has revolutionized the mode and direction of tournaments and contributed significantly to developments of Wu Shu. He also authored many books on Wu Shu, and started Chang Hong Wu Shu Yearbook (now in its 12th year) to promulgate Wu Shu culture and traditions. He is the founder of Chinese Academy of Chang Quan and Hong Quan and had been the Chairman of the Steering Committee for the first and second terms. Currently Master Chen is the founder and Chief Instructor of Institute for the Advanced Study of Chang Hong Wu Shu. He has taught over several thousand students, spread out all over Asia, Europe, Americas, Africa and other continents. There are several dozens of training centres for the Academy all over the island and overseas. They are all highly regarded in the martial arts community. Master Chen has often been invited to various companies, areas, schools and organizations to give speeches and seminars. He has several times travelled as far as to Johannesburg and Cape Town, South Africa to give seminars and teach Wu Shu to local communities. 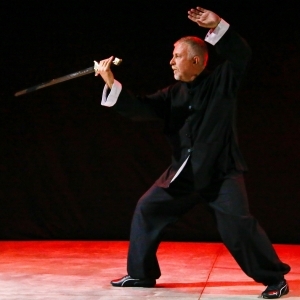 SiFu Christian is the head of Tai Chi for the Chinese Martial Arts and Health Centres worldwide. SiFu Christian began his Martial Arts training in 1985, at a branch of a school known as “The Shaolin Martial Arts Centre” and remained there off and on for about 3 years. In 1989 he joined the Cape Town branch of the then “The British Taijiquan and Shaolin Wushu Association” that later became known as “The International Taijiquan and Shaolin Wushu Association” or I.T.S.W.A. 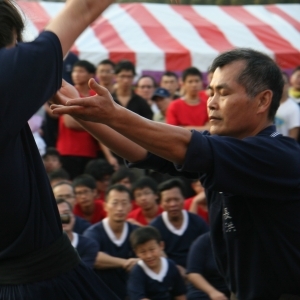 The styles of Martial Arts taught by the Association are Wing Chun, 7 Star Mantis Kung Fu and Yang Style Taijiquan. From 1989 to Dec 2002 he trained in all 3 systems. In 2004 he dropped the Kung Fu and focused exclusively on Taijiquan. In 1990, his teacher , Sifu L Reed, offered him the opportunity to do instructors training with a view to him teaching at a future time. This involved private lessons as well as extra training above and beyond the normal training times and classes. SiFu Christian qualified as a junior instructor in 1995, and assisted his teacher with teaching of new and beginner level students. He held this title and rank and remained under the tutelage of Sifu L Reed until shortly before his passing in 2003. SiFu Christian continues to train under the head of I.T.S.W.A, Sifu Derek Frearson, who travels to South Africa on almost a yearly basis. He received his full instructor (Sifu) title in 2004, and has been teaching professionally ever since. In 1995 he was invited by Sifu Marco Kavalieratos to teach Taijiquan at the Cape Town branch of “The Chinese Martial Arts and Health Centre”. SiFu Christian has since studied under Master Chen and Si Fu Marco adding the Chang Hong Tai chi system to his knowledge base. In 2007 SiFu Christian was asked to head up Taijiquan for all branches of the Chinese Martial Arts and Health Centre. At the Chinese Martial Arts and Health Centres worldwide, we teach both Northern Shaolin and Hong Family Fist styles. Collectively these methods are taught concurrently and are referred to as the Chang Hong System as taught by Master Chen Ching Ho of Taipei, Taiwan. Both of these styles have a long history and are well known and practised throughout the world. This style includes a wide variety of barehand and classical weapons in its training. In this style the postures are open and wide with a lot of emphasis on legwork and kicking. This style has been heavily influenced by the Nanking Central Martial Arts Institute that was founded in 1928 with the purpose of consolidating and promoting traditional styles of Chinese Kung Fu. There are ten barehanded forms, which include various animal forms. The weapons used in Norther Sholin Long Fist are staff, saber (dao), straight sword (jian) and spear and include double (two-man) sets. This is another Shaolin based style. It is perhaps the most well known style of the five main styles that originated in Southern China. It is famous for its widely varying arm techniques which are expressed in its animal imitation movements. Among its many animal styles, the Hong Quan methods concentrate on Tiger, Crane, Snake, Leopard and Dragon styles. 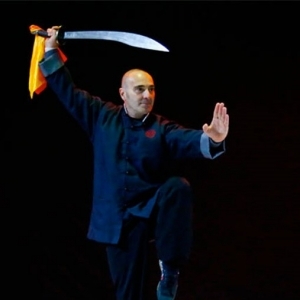 Hong Quan’s weapon forms include the staff, sabre, straight sword and spear and also have many unique weapons such as the kwan dao, pu dao, iron forms (sai), fan and umbrella. Yang Style is the most popular and widely practiced Tai Chi style world wide. The Chinese Martial Arts and Health Centre teaches a selection of both the modern short Yang Style forms and the traditional long form. Tai Chi is a powerful exercise for improving health and well being, but it is primarily a highly effective martial arts system focusing on sensing and applying the subtle nuances of internal energy flow and power generation. This takes many years to understand and apply, and Tai Chi is often best taught with Kung Fu for the student to gain an effective combat response in a shorter time frame. For more information about our systems and history, please visit the Chinese Martial Arts and Health Centre’s main website HERE.